Afghan President Hamid Karzai has condemned a NATO helicopter strike in which two brothers, both under seven years old, were shot dead after being mistaken for Taliban insurgents. The two boys were tending livestock and collecting firewood in the southern province of Uruzgan when they were killed on Thursday in an incident that drew an abject apology from the NATO-led coalition. Civilian deaths caused by international forces have often triggered outrage in Afghanistan since the Taliban were ousted in 2001, and Karzai said that the latest incident highlighted errors in how the insurgents are being tackled. "The government has repeatedly stressed that the war on terrorism cannot succeed in Afghan villages and homes, but rather in its sanctuaries and safe havens outside our borders," Karzai said in a clear reference to Pakistan. The president said he was deeply grieved over the deaths and offered his condolences to the boys' family. Uruzgan governor Amir Mohammad Akhundzada had blamed Australian soldiers for the incident but on Sunday his spokesman said it was unclear who was responsible. "We have sent a delegation to investigate and find out what exactly had happened," said Abdullah Hemat. "The troops called in air support after spotting people they thought were planting roadside bombs. "They were kids herding their animals and collecting firewood. It is not clear whether they were killed by Australians or Americans." Australian military chief General David Hurley said he deeply regretted the deaths but added it was too early to say who was responsible. Hurley said Australian special operations soldiers were on the ground conducting a routine liaison patrol when the shooting occurred on February 28. "Australian personnel immediately reported the incident to Afghan government officials and military leaders in Uruzgan," he said in a statement on Sunday. "We deeply regret that the International Security Assistance Forces were responsible for the unintended death of two young Afghan boys during the operation," Hurley said. "It is premature to make any determination about how the incident occurred or who was responsible," he added. Prime Minister Julia Gillard, who has been briefed on the incident, declined to comment on Sunday, saying she would leave any commentary to General Hurley. The NATO-led coalition, to which Australia contributes close to 1,100 soldiers, has apologised over the children's deaths, saying its troops had opened fire at what they believed were insurgent forces. "We take full responsibility for this tragedy," General Joseph Dunford, commander of the International Security Assistance Force (ISAF), said on Saturday. Civilian casualties caused by NATO forces have been one of the most contentious issues in the campaign against Taliban insurgents, provoking harsh criticism from Karzai and angry public protests. 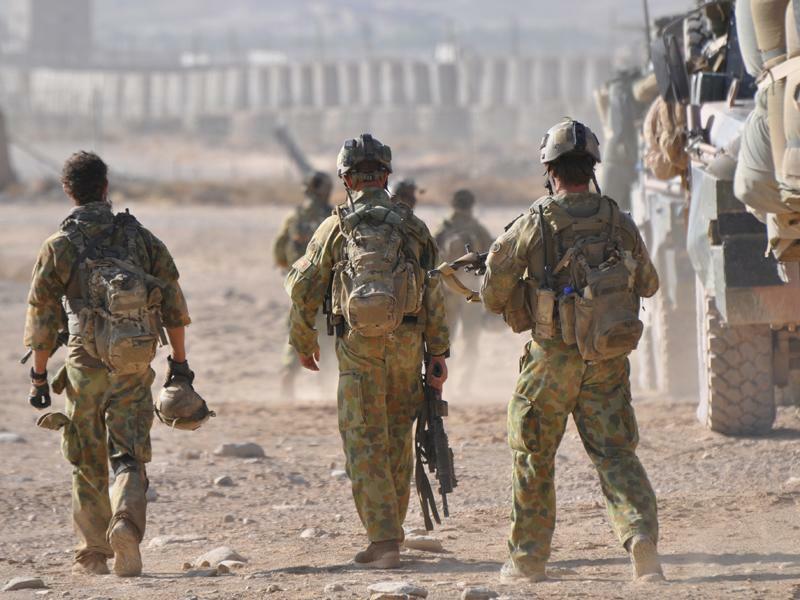 The bulk of Australia's troops are based in Uruzgan, and are focused on training and mentoring Afghan soldiers ahead of the withdrawal of NATO combat troops by the end of next year.